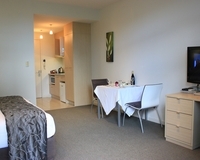 At Waves, there are a selection of generously sized rooms available. 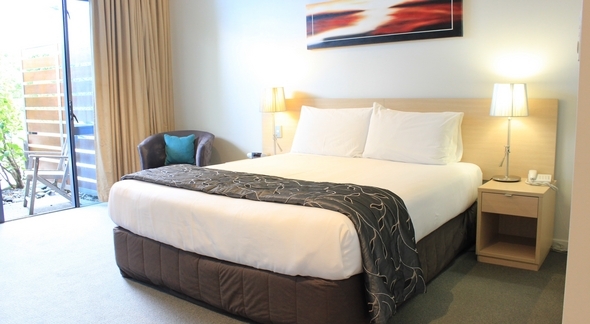 Our rooms are designed to make your stay with us as enjoyable and relaxing as possible. All rooms have been finished to a high standard and feature self-contained kitchens and modern spacious bathrooms, most with a spa bath. 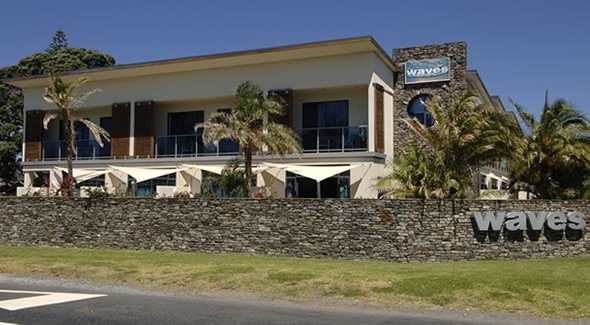 Sea view rooms, adjoining rooms and special access rooms are available on request. Spacious studio with bed, self-contained kitchen and separate bathroom with spa bath. 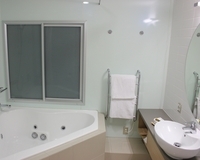 Generous separate bedroom, kitchenette, separate lounge and living area, separate bathroom with spa bath. The ultimate in comfort. Features 2 large bedrooms, kitchenette, separate lounge and living area, separate bathroom with SHOWER. 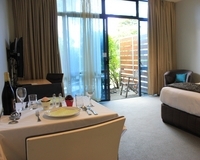 Waves Premium Rooms offer the ultimate in luxury accommodation. Featuring superb views or a private courtyard, Premium room has been fitted to a very high standard. Sit back and relax while you take in the sumptuous surroundings. The great deal we offer for people just come to sleep. In room no kitchen, just have microwave, toaster and kettle. Please contact us for more information and availability.